On 30 November 1982, Peñarol won their fourth Copa Libertadores, beating Cobreloa with a last-minute goal from Fernando Morena. The Uruguayan champions had been to the final six times previously, winning it in 1960, 1961, and 1966 (and losing it in 1962, 1965, and 1970). Meanwhile, Cobreloa, winners of the 1982 Chilean Primera División, reached the final for the first time the previous year and lost to Flamengo in a replay. After playing to a scoreless draw in the first leg at the Centenario in Montevideo on 26 November, the teams met at Santiago's Estadio Nacional for the second leg. There, it looked like they were headed for another scoreless draw and eventual replay when Morena (pictured on the left) scored in the 89th minute. Charging into the box between two Cobreloa defenders, he controlled a cross on the run with his left foot, then bundled the ball into the net. Although it was the club's fourth Copa Libertadores trophy, it was the first for Morena, who had played for Peñarol from 1973 to 1979, then returned in 1981. A seven-time Uruguayan league top scorer, he led the tournament in goals in their unsuccessful 1974 and 1975 campaigns, and was again the top scorer in 1982. On 29 November 1973, Ryan Giggs, the most decorated footballer in English history, was born in Cardiff, Wales. He moved to Salford in Greater Manchester when he was six. There, he drew the attention of Manchester City, who brought him into their youth program in 1985. But two years later, he switched to Manchester United, where he turned professional in 1990. Since making his first appearance for the senior side in 1991, Giggs has gone on to make over 950 appearances total. Along the way, he has amassed an impressive collection of silverware that includes thirteen league titles, four FA Cups, and two Champions League trophies. His total of 35 major trophies makes him the most decorated player in the history of English football. In addition to his club career, he also made 64 appearances for Wales and four for the unified Great Britain team at the 2012 Summer Olympics where, at the age of 38 years and 243 days, he set the record as the oldest player to score in the tournament's history. Now 40 years old, he is currently playing in his 24th season at Manchester United. On 28 November 1964, 18-year old Ross County striker Tommy Ross scored three times in 90 seconds to record the world's fastest hat-trick. 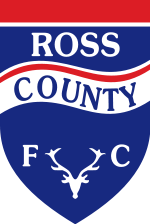 Ross County were hosting Nairn County in a Scottish Highland League match when Ross got his record. And that wasn't his only hat-trick of the day; he put the ball in the net a total of seven times, with Jim Hosie adding the other as Ross County won 8-1. Although Ross's hat-trick beat the previous record of two and a half minutes, set by Motherwell's Ian St. John against Hibernian, the club did not submit the achievement to the Guinness Book of World Records because they mistakenly believed that they needed two timekeepers to authenticate it and they had only one. The mistake was eventually corrected, however, and Ross now holds the official record. Hat-tricks were not unusual for Ross, who had scored four of them in the team's previous eleven games of the season. And he got four more by May, carrying his total goal tally to 35 for the season. On 27 November 2001, Bayern Munich won the Intercontinental Cup with an extra-time goal against defending champions Boca Juniors, who had been reduced to ten men. Boca had beaten Real Madrid the previous year and were hoping to repeat as champions. Playing at the National Stadium in Tokyo, they had the better chances in the first half, with attempts from Cristian Traverso and Marcelo Delgado, but both teams went into the break scoreless. Just after the restart, Delgado received a second yellow card for diving, taking Boca down to ten men. Despite the imbalance, Bayern could not crack their defense and the match remained deadlocked at 0-0 through regulation. Finally, in the 109th minute, Bayern center back Samuel Kuffour scored off a corner kick. The ball initially fell to Claudio Pizarro, but his header was cleared off the line. After pinballing around the goalmouth, the rebound came to Kuffour, who knocked it home for the deciding goal and Bayern won 1-0. On 26 November 2011, six members of Togolese club Étoile Filante de Lomé died when their bus crashed en route to a match. The team were traveling north from Lomé for a league match against Sokodé Semassi when one of their tires burst, sending the bus off the road and down into a ravine near the city of Atakpame. According to witnesses, the bus (pictured) rolled several time and burst into flame. While most of the passengers were able to escape, six people died. Subsequent reports did not confirm whether the fatalities were players or members of the technical staff. Another 25 people were injured and were rushed to a hospital in Lomé. 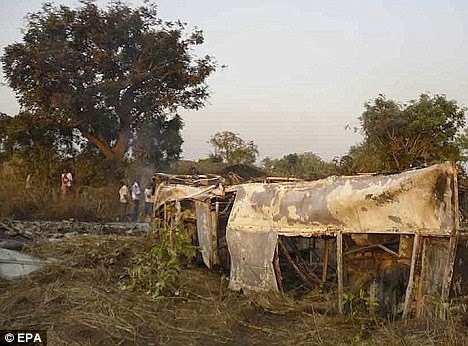 The tragedy occurred on the heels of the 2010 shooting that claimed the lives of two members of Togo's national team and a 2007 helicopter crash that killed 22 people, including the country's Sports Minister, Richard Attipoe. On 25 November 1953, Hungary beat England 3-6 at Wembley, signalling a power shift in international football. England were widely considered one of the world's best teams and had, to that point, lost only once at home (a defeat to Ireland in 1949). 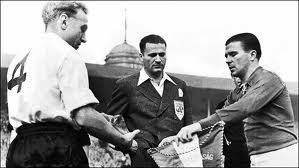 Hungary, however, were a rising power, propelled by their star forward Ferenc Puskás, who had scored 59 goals in 33 national team appearances. They were also riding a 24-game unbeaten streak that stretched back to May 1950 and included a victory over Yugoslavia in the gold medal match at the 1952 Summer Olympics. 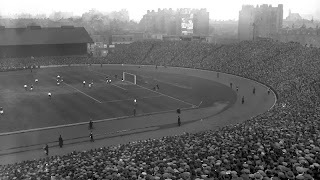 The teams met at Wembley for the friendly, with a crowd of 105,000 in attendance. The home team and their supporters were stunned when Hungary took the lead in just the first minute with a goal from midfielder Nándor Hidegkuti. England's Jackie Sewell equalized twelve minutes later, but Hungary pushed back ahead with another goal from Hidegkuti (20') and a brace from Puskás (24', 27'). Puskás's first was emblematic of the day—Puskás evaded an attempted tackle from England captain Billy Wright by dragging the ball back with the sole of his foot, leaving Wright chasing air, then calmly put the ball past keeper Gil Merrick. It was an example of the creativity and style shown by the visitors that day which left the hosts flummoxed. Stan Mortensen closed the gap to 2-4 at the break with a 38th-minute strike, but a goal from József Bozsik (50') and Hidegkuti's completed hat-trick (53') extended it to 2-6. By the time Alf Ramsey scored the last goal in the 57th minute, the game was all but over. The result prompted England to re-evaluate their tactics, while Hungary went on to extend their unbeaten streak to reach the final of the 1954 World Cup, where they eventually lost to West Germany. 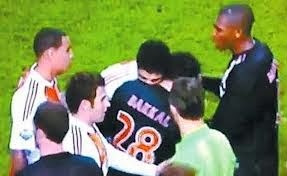 On 24 November 2010, Ajax striker Luis Suárez received a seven-match ban for biting PSV's Otman Bakkal. After an impressive 2009-10 season in which he scored 49 goals for Ajax in 48 appearances across all competitions, Suárez was off to another strong start in the 2010-11 season when third-place Ajax hosted league leaders PSV Eindhoven on 20 November. In stoppage time, with the match headed to a scoreless draw, Suárez battled with Bakkal and bit the midfielder on the shoulder. The referee did not see the incident, but post-match analysis prompted Ajax to suspend Suárez for two matches and fine him an undisclosed amount. Not satisfied with that punishment, the Dutch Football Federation stepped in on 24 November and issued a seven-match ban of their own, which Suárez did not protest. As it turned out, he never made another appearance for Ajax. In January 2011, while still under suspension, he moved to Liverpool for £22.8 million. He did not leave controversy behind, however, as he has since been involved in another biting incident as well as being found guilty of racially abusing Manchester United's Patrice Evra. On 23 November 1912, Deportivo Cali was founded and went on to become one of Colombia's most successful clubs. The club was formed largely through the efforts of the three Lalinde Caldas brothers—Nazario, Fidel, and Juan Pablo—who hosted the first meeting at their home. They had just returned from London, bringing a love of football and some kits, and helped write the new club's constitution, along with Alfonso Giraldo and Enrique Cucalón. They were one of the founding teams of the Colombian league in 1948. Although they finished eighth out of ten teams that first season, they finished second the following season. They won their first title in 1965 and dominated the next few years, with additional titles in 1967, 1969, 1970, and 1974. In 1978, they became the first Colombian team to reach the Copa Libertadores Final, finishing as runners-up to Boca Juniors. After going without a trophy through the 1980s, Deportivo regained the league championship in 1996, then again in 1998 and most recently in 2005. All told, they have total of eight titles and have finished in second place twelve times. On 22 November 1971, Alvechurch and Oxford City finally resolved the longest FA Cup tie in history after almost three weeks and six games. They met in the fourth qualifying round, with the winner advancing to the First Round Proper. In the first game, played on 6 November, Alvechurch went up 2-0, but Oxford City rallied to draw 2-2. The rematch on the following Tuesday also ended as a draw, as did the third, fourth, and fifth rematches over the next two weeks (with scores of 1-1, 1-1, 0-0, and 0-0). The sixth game, like the third through the fifth, was played at a neutral ground, this time at Villa Park. And Alvechurch finally got the edge, winning 1-0 with a goal from Bobby Hope in the 588th minute. All told, the tie lasted a record eleven hours. Alvechurch's reward was a First Round meeting at Aldershot two days later, which the hosts won 4-2. 21 November 2012 - But What Had He Done For Them Lately? On 21 November 2012, Chelsea sacked manager Roberto Di Matteo, who had won both the FA Cup and the Champions League with them the previous season. Di Matteo, a former Chelsea player who had managed Milton Keynes Dons and West Brom, joined the club in June 2011 as an assistant to André Villas-Boas. When owner Roman Abramovich sacked Villas-Boas in March 2012, he elevated Di Matteo to fill the vacancy, but on a caretaker basis. At the time, Chelsea were fifth in the Premier League table and had just lost to Napoli 3-1 in the first leg of the Champions League Round of 16. Di Matteo was unable to improve their league position, finishing sixth, but led them to their first Champions League title with a win over Bayern Munich and took the FA Cup over Liverpool. As a result, Chelsea signed him to a two-year deal in June 2012. Chelsea started the new season with seven wins and a draw in their first eight matches to claim the top spot, but slumped into third with two losses and two draws in their next four. They also struggled in the Champions League, with group-stage losses to Shakhtar Donetsk and Juventus. 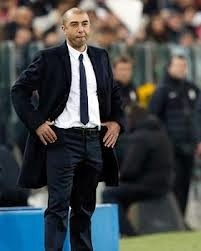 The latter, a 3-0 away defeat on 20 November, proved to be Di Matteo's last match in charge, as the club dismissed him the next day and replaced him with Rafa Benítez for the remainder of the season. Di Matteo has yet to join another club, while Chelsea brought in José Mourinho for the 2013-14 season. 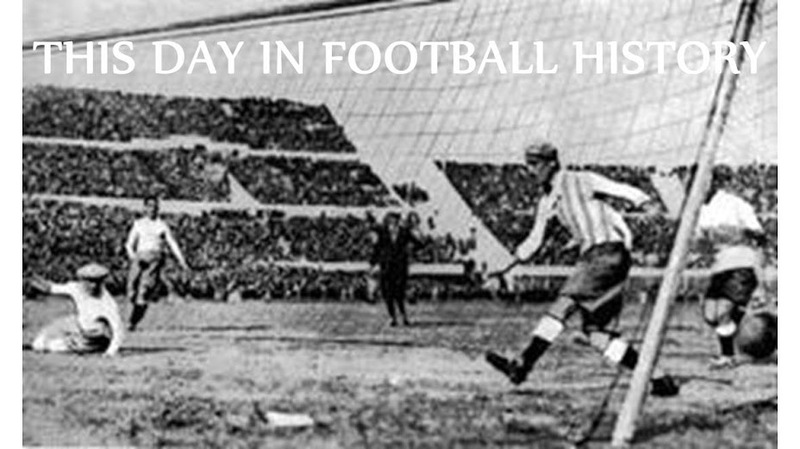 On 20 November 1949, Turkey got their record win, beating Syria 7-0 in a World Cup qualifier that also happened to be Syria's first match. It was the opening qualifying match for the three-team Group 2, which had one qualifying spot up for grabs. Turkey and Syria were scheduled to play a home-and-away series, with the winner advancing to play a similar series against the group's other member, Austria. Turkey hosted the first leg in Ankara against the newly-formed Syrian team and quickly established their dominance, going up 2-0 in the first sixteen minutes with a brace from Fahreddin Cansever. They then got goals from Bülent Eken (44'), Lefter Küçükandonyadis (66'), Erol Keskin (67'), and Gündüz Kılıç (72') before Cansever completed his hat-trick in the 87th minute. The teams never played the second leg, as Syria withdrew after the first one. Turkey then advanced to play Austria, but the Austrians also withdrew. That meant that Turkey received the group's qualification spot, but they eventually withdrew as well. FIFA then offered the group's spot to Group 6 runners-up Portugal, but they declined and the spot went unfilled. The 7-0 scoreline against Syria remains a record for Turkey, though they matched it against South Korea in 1954 and against San Marino in 1996. On 19 November 1887, Tottenham and Arsenal met for the first time, starting a rivalry that continues to the present day. Although currently known as the North London derby, the first meeting took place while Arsenal were still based in South London. They traveled north for the match, a friendly, played at Tottenham Marshes. Spurs were leading 2-1 before darkness forced a halt to the match with fifteen minutes remaining. 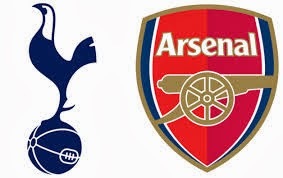 The two teams continued to meet, including their first league match in December 1909 that Arsenal won 1-0, but they did not become true rivals until 1913, when Arsenal left South London for Highbury, separated from Tottenham's White Hart Lane by only four miles. Since then, the teams have increased the total number of meetings to 176, with Arsenal winning 75 and Spurs winning 54. Labels: Arsenal F.C., Tottenham Hotspur F.C. 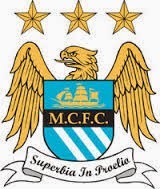 On 18 November 2011, Manchester City reported their finances for the previous fiscal year, including the biggest loss in English football history. City, the 2011 FA Cup champions, were in their third year under the ownership of Mansour bin Zayed al-Nahyan, Deputy Prime Minister of the United Arab Emirates and member of the country's royal family. When he acquired the club in 2008, he pledged to spend the amount necessary to make City a title contender and backed that promise by signing several new players, including Brazilian forward Robinho from Real Madrid in 2009 for a record fee of £32.5 million. During the 2010-11 fiscal year, the club continued to bring in new signings at a rapid pace, including Edin Džeko (£27M), David Silva (£26M), Yaya Touré (£24M), Mario Balotelli (£24M), and James Milner (£26M). Their total player signings for the year amounted to £156.5 million. When they announced their financial results in November, their total loss for the year was £197 million, shattering the previous record loss of £141 million set by Chelsea in 2005. They did get results for the expenditures, however, winning the 2011 FA Cup and the 2011-12 Premier League title, their first trophy in either competition since the 1960s. On 17 November 1993, Denmark started the day on top of their World Cup qualification group and ended it with elimination from the tournament. 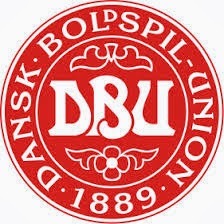 Denmark, who were hoping to reach the World Cup for only the second time ever, were in Group 3 along with Spain, the Republic of Ireland, Northern Ireland, Lithuania, Latvia, and Albania. With the top two spots securing passage to the World Cup, the Danes went into the final day of qualification at the top of the group, two points clear of their opponents Spain and one point ahead of Ireland, who were away to Northern Ireland. The games kicked off at the same time. Playing in Seville, Denmark looked certain to reach the World Cup when Spain lost Andoni Zubizarreta to a red card in the tenth minute. But despite the advantage, they could not score and instead went down 1-0 in the 63rd minute with a goal from Fernando Hierro. The game in Belfast remained scoreless; in a live table, that combination dropped Denmark into the group's third spot. They got a reprieve, however, when Northern Ireland's Jimmy Quinn scored in the 74th minute, pushing Denmark back ahead of the Republic for the second qualifying place. But Ireland's Alan McLoughlin equalized four minutes later and the game ended 1-1. Denmark's 1-0 loss and Ireland's draw put the two teams level on points and goal differential, but Ireland got the nod by having scored nineteen goals to Denmark's fifteen. The Irish team reached the Round of 16 before losing to the Netherlands. Denmark, meanwhile, qualified for the 1998 tournament, where they made it all the way to the quarterfinals. 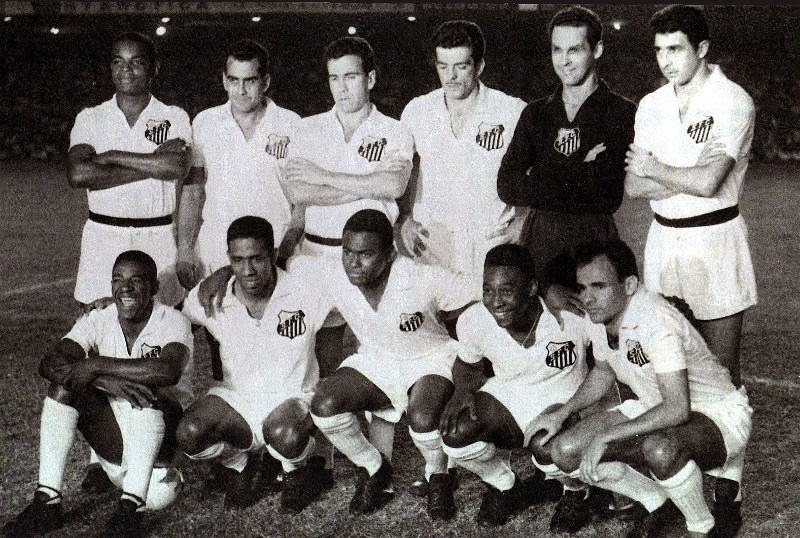 On 16 November 1963, Santos beat AC Milan 1-0 in a playoff to win their second consecutive Intercontinental Cup. Milan, who had just won their first European Cup the previous May, hosted the first leg of the Intercontinental Cup at the San Siro on 16 October and won 4-2. But the second leg, played at the Maracaña on 14 November, ended 4-2 to the defending champions, despite the fact that their star and captain Pelé, who had scored both of their goals in the earlier game, was out due to injury. The result forced a deciding playoff, so the teams returned to the Maracaña two days later. With Pelé still missing, the match came down to the slimmest of margins. In the 31st minute, Milan captain Cesare Maldini fouled Santos forward Almir, resulting in his own ejection and a penalty kick for Santos, which was converted by defender Dalmo Gaspar. Santos held on to the 1-0 lead despite a second-half ejection of their own and claimed their second straight trophy. It remains their last, however, while Milan went on to win it three times (and also won the successor tournament, the Club World Cup, in 2007). Labels: 1963 Intercontinental Cup, AC Milan, Cesare Maldini, Dalmo Gaspar, Santos F.C. On 15 November 1894, a pair of Vienna teams played Austria's first football match. One of the teams was First Vienna FC 1894, founded on 22 August by a group of English and Austrian gardeners working on the estate of Baron Nathaniel Rothschild. He provided a pasture known as Kuglerwiese on which to play and also gave them blue and yellow jockey uniforms from his stables to use as kits. Their opponents in that first game were the Vienna Cricket and Football Club. They had been founded two years earlier as a cricket club only, but adopted football as a second sport and changed their name on 23 August, one day after First Vienna's founding. They met at Kuglerwiese where a crowd of about 300 people watched VCFC win 0-4. The two teams remained rivals until VCFC dropped football in 1936. Even before then, in 1911, players and officials left VCFC to form the club that is now called FK Austria Wien, winners of 24 Austrian Bundesliga titles and the current holders. First Vienna, meanwhile, won five titles between 1931 and 1955 and now play in Austria's second division. On 14 November 2012, Sweden opened their new Friends Arena in Stockholm with a stellar performance from Zlatan Ibrahimović in 4-2 win over England. A crowd of 49,967 gathered for the stadium's first match, a friendly, and watched as Ibrahimović—fresh off the publication of his autobiography I Am Zlatan two months earlier—put Sweden up 1-0 in the 20th minute. But England countered with scores from Danny Welbeck (35') and debutant Steven Caulker (38') to take a 1-2 lead into the break. They held the lead until the 77th minute, when Ibrahimović controlled a long pass with his chest and volleyed the ball past goalkeeper Joe Hart for the equalizer. The Swedish captain then restored the hosts' lead with an 87th-minute free kick from thirty yards out. But it was his last goal that was the most impressive. In the first minute of stoppage time, with Sweden still leading 3-2, Hart raced outside the box to head a ball away. It went toward Ibrahimović, about twenty yards away from the goal, who then delivered an overhead bicycle kick to cap the 4-2 victory. On 13 November 2010, TP Mazembe successfully defended their CAF Champions League title, beating Espérance 6-1 on aggregate. The two teams met earlier in the group stage, where they split their two meetings. Espérance topped the group, with Mazembe coming in second. They then both advanced through the knockout rounds to reach the final. Mazembe hosted the first leg in Lubumbashi on 31 October and won 5-0. Because the tournament uses the aggregate score to determine the winner, that margin effectively secured the trophy and made the second leg an academic affair. Still, Espérance made a game of it at the Stade 7 November in Rades by going up 1-0 in the 24th minute with a goal from right back Harrison Afful. But they were unable to close the gap any further and instead conceded an equalizer to Mazembe substitute forward Déo Kanda A Mukok in the 67th minute. The match finished 1-1. The tournament marked the second time that Mazembe repeated as champions, with their first pair of titles coming in 1967 and 1968. 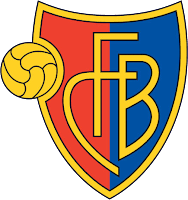 On 12 November 1893, a Swiss newspaper published an advertisement that led to the formation of FC Basel, one of the country's most successful clubs. The ad appeared in the Basler and encouraged anyone interested in forming a new club to show up for a meeting to be held the following Wednesday. Four men—Roland Geldner, Ferdinand Isler, Jean Grieder and Emil Abderhalden—attended that meeting and became the club's founding members. They recruited additional members and played their first match on 10 December 1893 (one of their early captains was Joan Gamper, who went on to help found FC Zurich and FC Barcelona). Basel joined the Swiss national league for the 1898-99 season, but did not win their first league title until 1953. They won a second title in 1967 as part of a Double with the Swiss Cup, then were one of the country's dominant teams over the next decade, winning another six league titles through 1980. A fallow spell followed, but they regained the league title in 2002, one of eight championships in the new millennium, including the last four from 2010 to 2013. Their overall total of sixteen is the third-most in league history, behind Grasshopper (27) and Servette (17). On 11 November 1983, Bayern Munich and Germany captain Philipp Lahm was born in Munich. He joined Bayern's youth team in 1995, then signed a professional contract with the club in 2001. After a couple of years with the reserve team and an initial appearance for the senior side in 2002, he moved on loan to Stuttgart for two seasons, returning to Bayern in July 2005. By the 2006-07 season, Lahm had claimed the starting left-back position, making a total of 48 appearances in all competitions. He later played at right back and, most recently, as a defensive midfielder, raising his current appearances total for the club to 369. Along the way, he has collected five Bundesliga titles, five German Cups, and a Champions League trophy, and has captained the side since January 2011. In February 2004, he earned his first cap for Germany and has since gone on to make a total of 101 international appearances. He captained the team during the 2010 World Cup, leading them to a second straight third-place finish, and has retained the armband ever since. On 10 November 2012, a missed Arsenal penalty in stoppage time helped Fulham preserve a dramatic 3-3 draw at the Emirates. The teams opened the day occupying the seventh and eighth spots in the table. They were level on points, with Arsenal taking the higher position by virtue of a better goal differential. Playing in front of a crowd of just over 60,000, the Gunners staked an early claim to what looked to be an easy three points after first-half goals from new signings Olivier Giroud (11') and Lukas Podolski (23') gave them a 2-0 lead. But Dimitar Berbatov, playing in his first season for the Cottagers, closed the gap with a 29th-minute goal, then provided the assist for Alex Kacaniklic's equalizer in the 40th minute. In the 67th minute, Berbatov put Fulham ahead with a penalty kick after Arsenal midfielder Mikel Arteta fouled Bryan Ruiz in the box, but Giroud headed home two minutes later to restore the balance. Level at 3-3 in stoppage time, Arteta had an opportunity to atone for his earlier mistake. In the fourth minute of added time, the referee awarded a penalty to Arsenal for a handball by Sascha Riether. Arteta stepped up to take the shot, but was denied by Fulham goalkeeper Mark Schwarzer, who stretched low to his left to knock the ball away. On 9 November 1907, Chelsea hosted Arsenal in the first London derby ever played in the First Division. Chelsea won 2-1. Arsenal had been the first London team to join the Football League, starting in the Second Division in 1893, then moving to the top flight in 1904. They remained the only team from the capital in the First Division until Chelsea arrived in 1907, after two seasons of their own in the lower division. Chelsea started the season poorly with only two wins out of their first ten matches and were sitting nineteenth in the table when they hosted Arsenal at Stamford Bridge. The Gunners, meanwhile, were in tenth. So it was a bit of an upset when Chelsea took a 2-0 lead with a brace from George Hilsdon. Arsenal narrowed the gap to 2-1, but could get no closer and suffered their fifth loss of the season. Various reports pegged the crowd somewhere between 50,000 and 70,000, which--in any event--was a new league record. The teams met again in the first week of March and played to a scoreless draw at Arsenal's Manor Ground in Plumstead. By the end of the season, Chelsea finished in thirteenth, one spot ahead of Arsenal, with whom they were level on points, by virtue of a 0.85 goal average to Arsenal's 0.81. 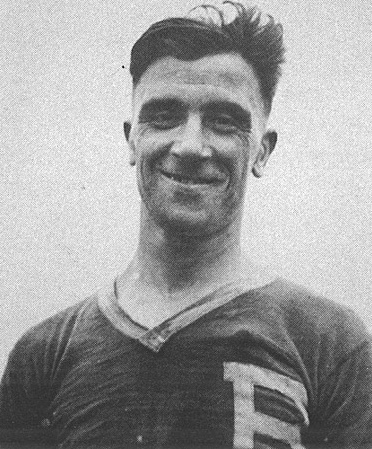 On 8 November 1925, Archie Stark made his second and last international appearance, scoring five for the US in a 6-1 win over Canada. The forward had just come off an incredible 1924-25 season for Bethlehem Steel, scoring 70 goals in 46 appearances across all competitions (67 of those came in his 44 league games). That June, near the end of the season, he got his first cap in a 1-0 loss to Canada in Montreal. For their next game, the US hosted Canada in Brooklyn, where Stark returned to the national team's starting line-up. There, he regained his club form from the previous season, scoring five goals as the US won 6-1 (Davey Brown scored the other for the US, while Canada's goal came from Gordon Burness). He went on to have another strong season for Bethlehem Steel, scoring 54 goals in 45 games. The US invited him to join the squad for the 1930 World Cup, but he declined because he was engaged in a new business venture following the dissolution of Bethlehem Steel earlier that year. On 7 November 2009, Saudi Arabian striker Nawaf Al Abed scored just two seconds after the opening kickoff. Unfortunately, it didn't count. The goal came in the group stage of the U-23 Prince Faisal bin Fahad Cup, where Al Abed's team, Al-Hilal, were taking on Al-Shoalah. Standing in the center circle, Al Abed received the opening kick and immediately launched the ball toward the goal. The Al-Shoalah keeper, who had been far off his line, raced back to stop it, but was a step too slow as the ball passed him and landed in the back of the net. Officials recorded the goal as coming at the two-second mark, believed to be a world record. Al-Hilal went on to win the match 4-0, but officials later determined that they used ineligible players over the age of 23 (Al Abed was not one of them). As a result, the match went into the books as a 3-0 win for Al-Shoalah. Al-Hilal nevertheless advanced, eventually reaching the final where they fell to Al-Shabab 2-1. On 6 November 1869, Rutgers beat Princeton in a game of association football that is considered by many to be the first game of American-style football. Association football had arrived in the United States as early as 1862 with the creation of the Oneida Football Club in Boston, Massachusetts. But the rules of football were still in flux at the time, with the game still using elements that would later evolve into rugby. The teams (Princeton was then called the College of New Jersey) met at Rutgers' College Field in New Brunswick, where a crowd of 100 people turned up to watch. As hosts, Rutgers got to dictate the rules for the game and chose the ones put forth by the London Football Association. The match consisted of two teams of twenty-five players each, a round ball, and two goals. The players tried to score by kicking the ball into the opposing goal and were not allowed to use their hands. Each score was called a "game," with the teams playing ten games total. Rutgers scored first and eventually won the contest 6-4. One week later, they played a rematch under Princeton's rules, which allowed players to catch the ball. Princeton won 8-0. 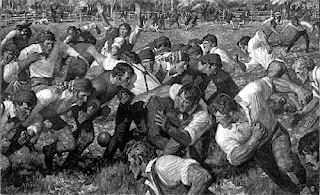 Together, the two games are considered by many historians to be the foundation of American football. 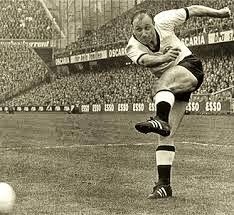 On 5 November 1936, Uwe Seeler, the German top flight's all-time leading scorer, was born in Hamburg. He spent almost his entire career with his hometown club, Hamburger SV, joining them as a youth player in 1946, then signing a professional contract in 1953. In all, he spent eighteen seasons there, the first nine in the old Oberliga top flight and the last nine in the Bundesliga, making a total of 519 league appearances and scoring a record 404 goals. Despite his impressive scoring record, he won only two major honors with Hamburg, the 1960 league title and the 1963 German Cup, though they twice finished as runners-up in both. While at Hamburg, he also made 72 appearances for West Germany, scoring 43 goals. He played and scored in the 1958, 1962, 1966, and 1970 World Cups, and captained the team in the latter two. Although he retired in 1972, he laced his boots up for one more appearance in 1978, playing a single match for Cork Celtic in the League of Ireland and scoring another two goals. On 4 November 1972, Luis Figo, the 2000 Ballon d'Or winner and Portugal's all-time appearances leader, was born in Lisbon. He started his professional career with Sporting in 1989, the same year that he appeared for Portugal at the U-17 World Cup in Edinburgh. Two years later, he played in every game as Portugal won the U-20 World Cup, scoring in the final's penalty shootout to beat Brazil. Later that same year, he earned his first senior cap. While enjoying a tremendous club career that included five seasons with Barcelona (1995-2000), a controversial move to Real Madrid (2000-05), and four years with Inter Milan (2005-09), winning a total of eight league titles and one Champions League trophy, he starred for the national team during one of their most successful periods. They reached the semifinals at Euro 2000, then, as hosts, finished as runners-up in 2004. Two years later, Figo captained them to the semifinals of the 2006 World Cup before losing to France 1-0, after which he retired from international football with a record 127 appearances for Portugal. Labels: F.C. Barcelona, F.C. 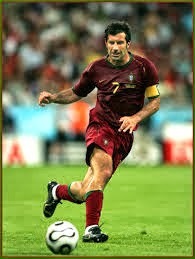 Internazionale Milano, Luis Figo, Portugal, Real Madrid C.F., Sporting C.P. On 3 November 2012, Solomon Islands goalkeeper Paul Huia became the first person to compete at the international level in all three FIFA sports. He started his road to his historic treble by representing the Solomon Islands at the 2006 FIFA Beach Soccer World Cup, where, despite serving as the back-up to starting keeper Fred Hale, he appeared in all three matches. In September 2012, he added a second sport by playing in the Solomon Islands' third-round loss to New Zealand in a qualifier for the 2014 World Cup. 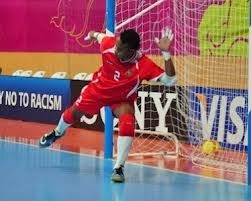 The third piece of the puzzle fell into place two months later when he represented his country in their opening game of the 2012 Futsal World Cup. Unfortunately, they lost to Russia 16-0. On 2 November 2002, Tiffeny Milbrett matched a US women's team record when she scored five times against Panama in the Gold Cup. The US entered the competition as the defending champions and were looking for their fifth Gold Cup trophy. They opened their campaign in the tournament with a pair of 3-0 wins over Mexico and Trinidad and Tobago to set up their meeting with Panama. The Panamanians, for their part, had just been beaten 5-1 by Mexico four days earlier. Playing at Safeco Field in Seattle, Milbrett took charge of the game early, notching a hat-trick in the first ten minutes (3', 5', 9'). Shannon McMillan added a quick brace shortly afterward (11', 14'), then Milbrett scored twice more (23', 34'). Tiffany Roberts struck home in the 40th minute to push the margin to 8-0 by the break. On cruise control in the second half, the US looked content to maintain their lead, but Abby Wambach scored in the 86th minute to set the final score at 9-0. The US eventually went on to win the final over Canada, 2-1. 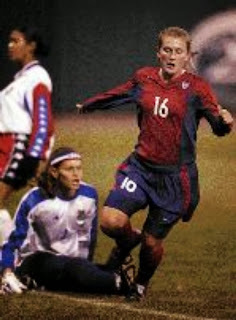 Milbrett's five goals in a single game matched the record set by Brandi Chastain against Mexico in 1991 and reached by Michelle Akers against Chinese Taipei at the 1991 World Cup. Since then, Abby Wambach (2004), Amy Rodriguez (2012), and Sydney Leroux (2012) have equaled the tally, but nobody has exceeded it. On 1 November 1906, England's national amateur team played their first game, beating France 0-15 in Paris. 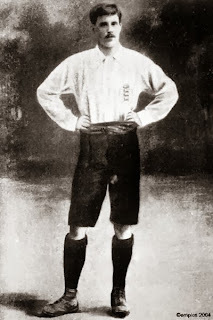 As football in England began to shift from an amateur game to a professional one, the amateurs found places in the national team difficult to obtain. That, along with a desire by some to maintain the sport's original spirit, led to the formation of an amateur national side to complement the primary team. Captained by Stanley Harris, who had six full internationals under his belt, the amateurs played their first match at the Parc des Princes against the senior French national team (who were playing just their fifth match themselves). England won 0-15, with seven goals from Harris and four from Vivian Woodward (pictured). S.H. Day added two more, with the remaining goals coming from J.E. Raine and P.H. Farnfield. The match was not an outlier--the amateurs rattled off a string of seventeen consecutive victories, including equally lopsided wins over the Netherlands (12-2), Sweden (12-1), Belgium (11-2) and also served as the gold-medal winning British team at the 1908 Summer Olympics. The amateur side lasted until 1974, when the FA stopped distinguishing between professionals and amateurs.